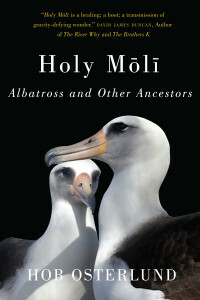 Holy Moli touches a deep chord that reverberates in all our hearts. Wondrous mysteries of life and death and nature and the webs of interconnections. Hob Osterlund’s journey of healing leads to an incredible gift for all of us; her wise and witty words and exquisite images wake us up to the world of one of the most amazing creatures on this planet, the albatross. So grateful for Hob’s teachings that encourage us to really see and soar.